Pudget: Losing Weight On a Budget! 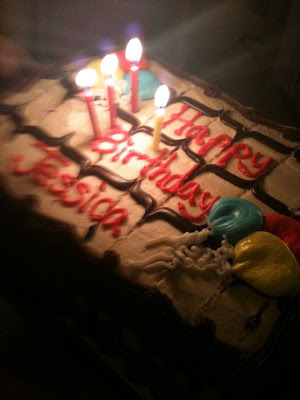 : Cake, Cake and Much More Cake! What a difference it can make when you actually get good sleep! I have been taking two Tylenol pm every night for the past two weeks and I can't even tell you how great I feel. I felt so tired for so long that I didn't even realize how bad it had actually become. One Tylenol pm just didn't seem to cut it anymore and I was shocked that two Tylenol pm doesn't make me drowsy in the morning. It has made such a huge difference in my day to day life. I can now get up, bathe, get dressed, get my hair and make-up done all before taking my daughter to school. For the past few months I was seriously so tired from lack of sleep that I would take her to school in my sweats. I'm not saying that there is anything wrong with this but it just isn't me. She pre-ordered it for me. I love it! I can't wait to share with you some of the great recipes. I have been working my way through it and making notes on which recipes I want to make. It is her best cookbook so far. 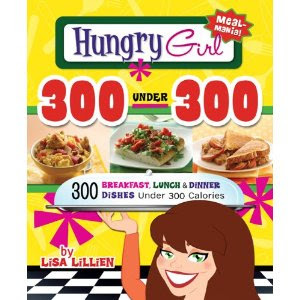 I love all of her cookbooks but this one actually has 300 recipes. You won't believe how big this cookbook is. I still haven't gotten through all of the recipes but the ones I have looked at are amazing. They are such good and easy ideas. I can't wait to try them! I also got a beautiful new shirt from my Aunt. She has the best taste and always gets me beautiful clothes for my Birthday. :) My in-laws sent me money and I was able to use it to take my whole family out for lunch after Church on Sunday and to the movies to see the movie "Hop". It was such a cute movie. I can't wait until it comes out in the stores. I would definitely like to watch it with the girls again. Did I mention that two of my best friends took me for a pedicure and manicure at the "Polished" nail salon. It was wonderful. We spent over three hours just relaxing and having some girl time. I really needed it. I can't wait to do it again! 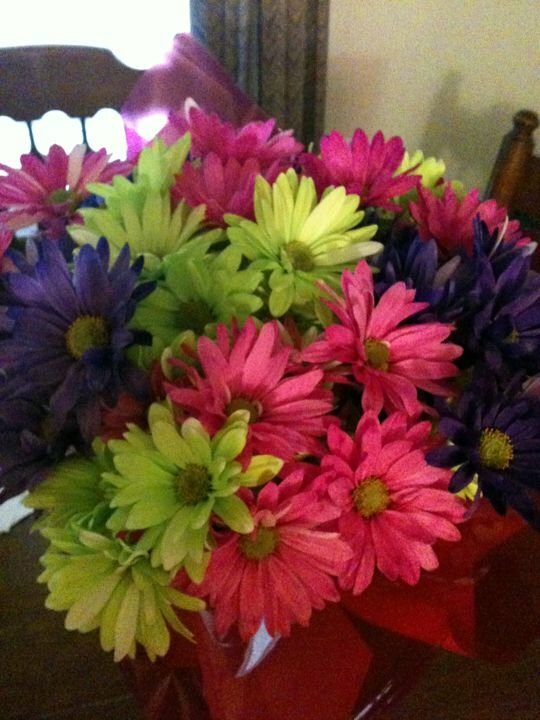 My girls and my hubby got me these beautiful flowers and also the cutest wind chime that I hung on my porch. Other then eating too much homemade pizza, that my girls made for me (with fresh mushrooms! ), and too much cake I had a good week. I will write more later today to tell you all about the new foods and new ideas I have come up with. Check back later today and I hope you also had a wonderful week! 1. That cake was amazing!!! Good job Dad! I have a present for you too! Ill send it over with mom for you.